Digital existence is one of the most essential marketing tactic to work on. Websites are the utmost tool for any brand to work on first priority. Websites carry all the data consumers want to read. There are few things that should be taken care of while publishing your website design. Designing doesn’t include only graphics. Marketers are also responsible to design what their customers have to read first when they visit website and how to link similar data with other. Clutter of text exhaust visitors easily. 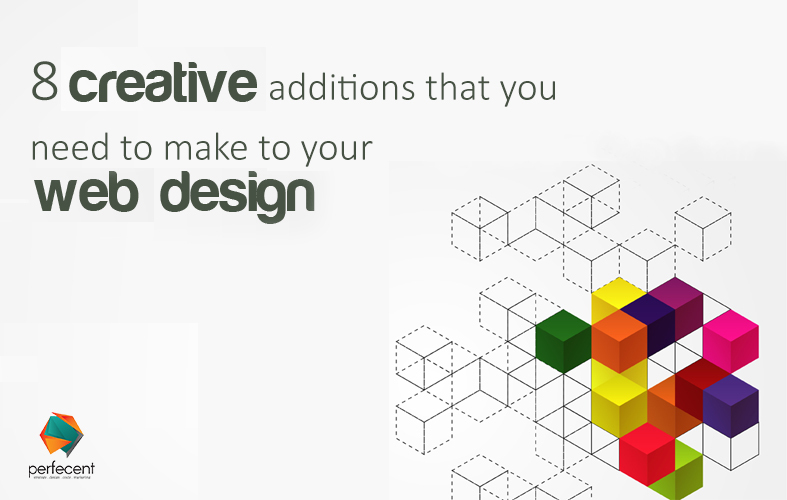 It is necessary to keep negative space in website design that could help in delivering a clear brand message. generally, people prefer reading large texts and pictorial messages rather than reading long texts. Add creative GIFs and animated clips on your website to engage visitors. Your motion graphics should comprise of the highlights one should get on a first glimpse maybe the reason about why people need your brand. Website design should create an eye path. For example if it’s a shopping website, there must be separate sections for male, female or kids and their accessories portion. If visitor find any difficulty in searching their required product, they will eventually switch to your competitor. Customer experience or testimonials add credibility of your brand. Ask your loyal customers for testimonials or make a page that attract people to write something about your product. You can also engage your visitor in a way that they feel like writing something for you as a feedback. New visitors believe on feedbacks more than a brand itself. flat and simple websites attract less people than bright colored websites. Use your brand colors to enhance the beauty of your website. Make patterns that recall your brand whenever your customers see that anywhere. Create symmetrical patterns because they are simple yet attractive. Trend of shadows and gradient has ended. Sleek and simple graphic designs attract customers more than decorated art. These designs are pleasant to eyes and give straight pictorial message. Simple graphics take less time to load which make visitors stay a bit longer. Every other company use images to showcase their brand persona. Typographic art is rare and creative. Use letters and your brand adjectives large, small or beautifully wrap around your product to attract visitors and make them look twice at your brand message. every other person use social platforms in their leisure time. Make their leisure time more productive by linking your social media posts to your websites. Put all your social media tabs at the end of every website page so that website visitors can get the idea about your brand events. There might be possibility that not everyone use all social media platforms but there is a chance that they are available at any one of them. It increases the reach of your brand. If you put strong content, people will share your explainer videos or other content on their own social platform. Entertaining content generate more traffic on your digital platforms, make sure you hire a creative website design agency who develops engaging content for your brand.